That first warm breeze, the first day without jackets. 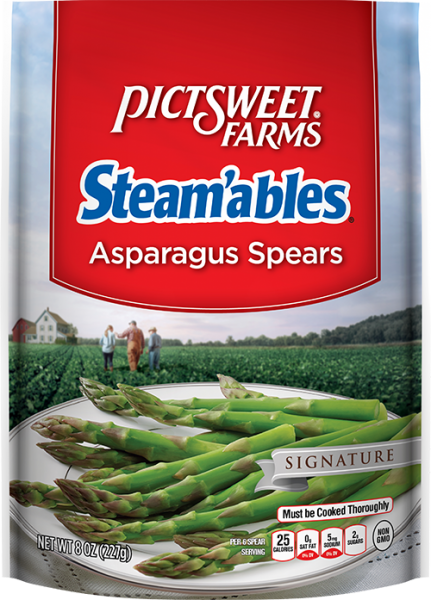 Asparagus is the vegetable of early spring, and we capture the flavor in our Signature line so you can enjoy springtime, anytime. Adding these tender stalks makes a meal a little extra special. Open package and pour frozen asparagus into a saucepan. Cover with water. Boil for 3 minutes. Drain.